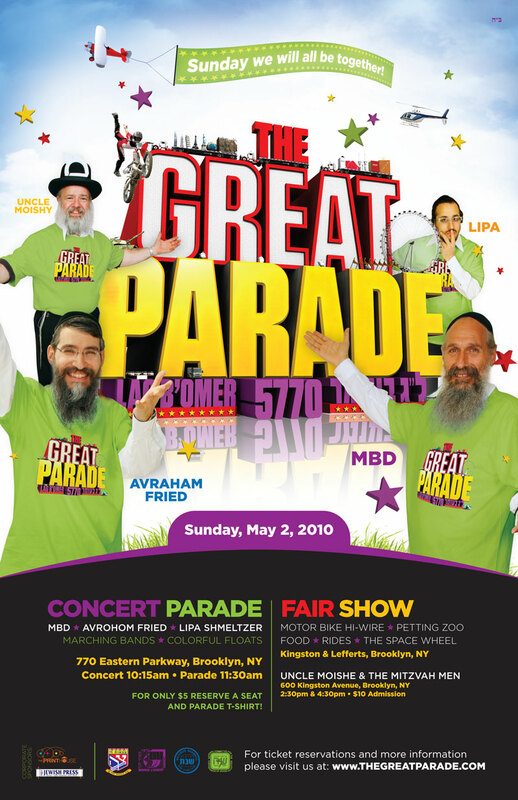 For the first time ever the parade will feature the innovation and musical twist of some of the greatest jewish entertainers and singers Mordechai Ben David, Avraham Fried, Lipa Schmeltzer, and Uncle Moishe. This is something you dont want to miss. After the concert the central parade will pass by 770 Eastern Parkway, in the grand tradition of a Lag Baomer Parade. The parade will be composed of all the classic favorites including marching bands, military parades as well as thestars of the show the jewish boys and Girls.